We like to believe that being a Tutor Doctor Franchisee is unlike any other work/career that you have ever had. Because our goal isn’t just to make a dollar; it’s also to make a profound difference in the lives of our students. 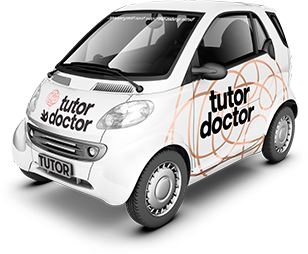 Tutor Doctor franchisees are intelligent, driven and come from different walks of life including people who have come from the corporate world as leaders, managers and executives, the education industry and from the small business environment. Only 17% of our franchisees have prior experience in education while 83% come from diverse business backgrounds! They have had multiple career and business options. They chose Tutor Doctor for its inspiring corporate mission, strong cash flow, ease of operations and because of the value Tutor Doctor adds to the communities it serves. Don't take our word for it, check out what our franchisees have to say! Below illustrate a few specific programs we have available today, some with specific financing options. Do you fit in any one of them? At Tutor Doctor, we have been inspired to make a difference in the next generation of business leaders. In response to this, we have developed a Young Entrepreneur Scholarship (YES) program whereby we will provide start-up financing for individuals who qualify. As part of this program, scholarship recipients will also receive one-on-one mentoring from existing tutoring franchise owners. To qualify for the program, applicants must be 21–28 years old with demonstrated academic excellence, business acumen and entrepreneurial spirit. If you are a recent grad and have a “can do” attitude, you may be eligible for our incredible YES, which will help to fast-track you to franchise ownership. The Tutor Doctor franchise is an incredible opportunity for veterans who want to continue to make a difference in people’s lives. Tutor Doctor was selected as one of the Top 50 Franchises for Veterans in 2013, as seen on USA Today. Tutor Doctor also offers veterans a 5% discount with low initial investment and low overheads to help them successfully start their own businesses. Today, about 10% of our franchisees are military veterans. These business owners stand out among the nearly 220 franchisees in our system as they demonstrate superior leadership and innovation, bringing new ideas to the table on a regular basis to benefit the entire franchise rather than just their own territories. For more details, see Tutor Doctor's Veterans Franchise Program. Tutor Doctor is breaking into emerging markets and one area we are focusing on is providing minorities with the best opportunity to become business owners. With low initial investment and low overheads, the Tutor Doctor franchise opportunity is levelling the playing field and was recently voted in the Top 50 Franchises for Minorities by the National Minority Franchising Initiative.